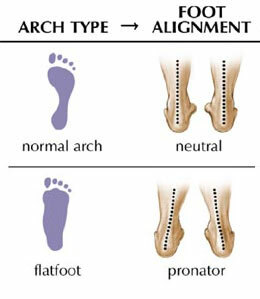 Flat feet or Pes Planus is deemed a medial (inner) longitudinal arch that has pronated the hindfoot. Pes Planus can be either functional (temporary) or structural (permanent). Functional Pes Planus represents ligament laxity or muscle weakness as a contributor of the condition. Structural Pes Planus is rigid and results from bony manlfunction or change. 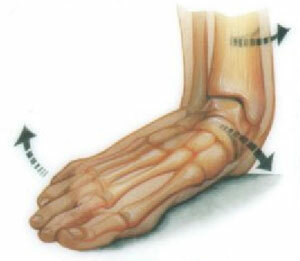 This form of Pes Planus cannot be altered by positional changes or any voluntary effort. When the foot becomes flattened not only are the muscles and ligaments affected, but the bones of the foot become shaped for a flat foot. Pes Planus may be a condition that has no apparent symptoms such as pain, however the condition can progress. Your foot/feet are extremely important as the base of the foot is the structure that supports everything above it with associated dysfunctions such as knee, hip or back pain attributed to Pes Planus. If you have any questions about Pes Planus contact our staff at Dynamic Physiotherapy. Are evening or Saturday appointments available? Currently we do not have any Saturday appointments available (we are looking to add Saturday service shortly). However evening appointments are available at both locations. Either click or call and we would be happy to book an appointment for you.